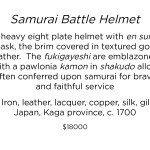 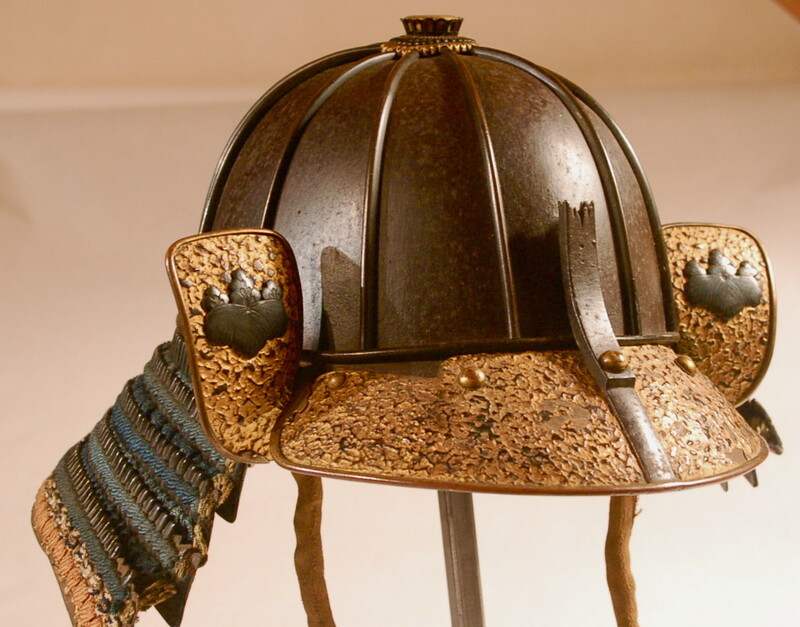 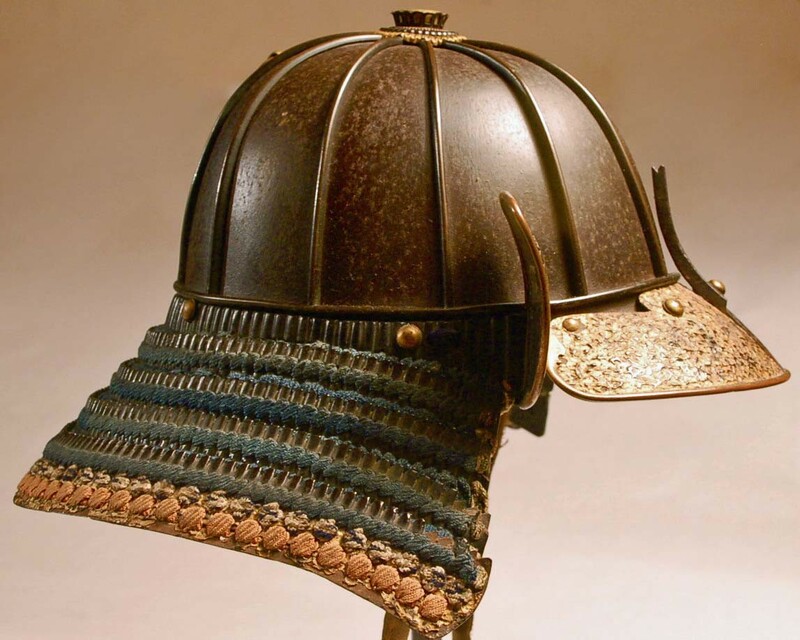 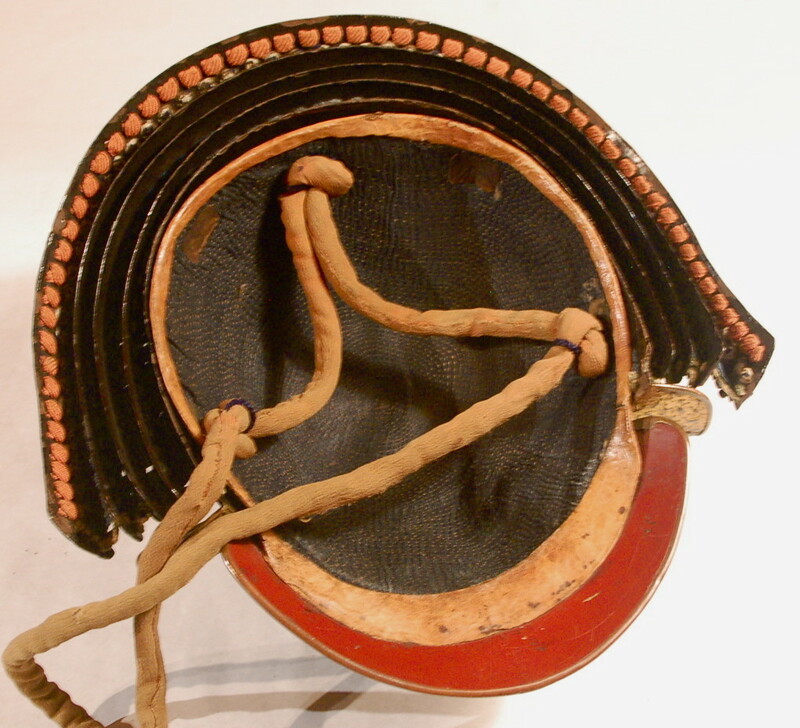 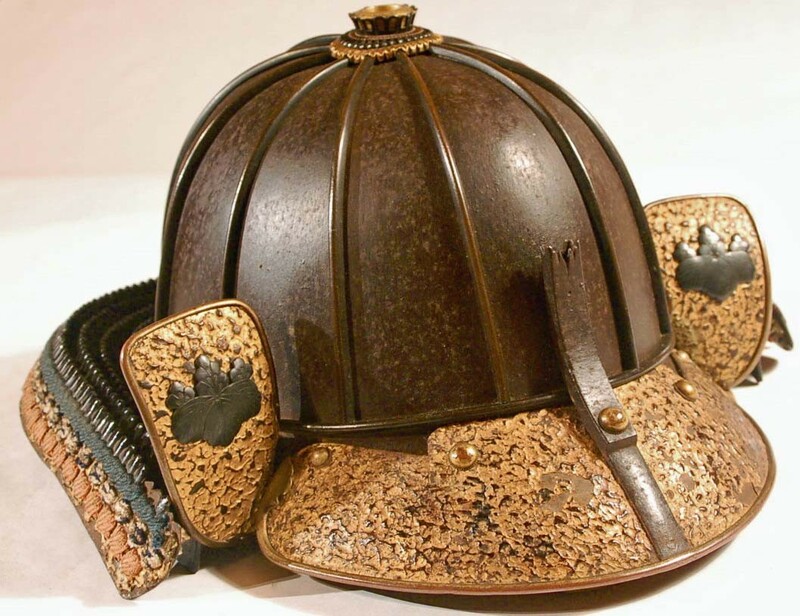 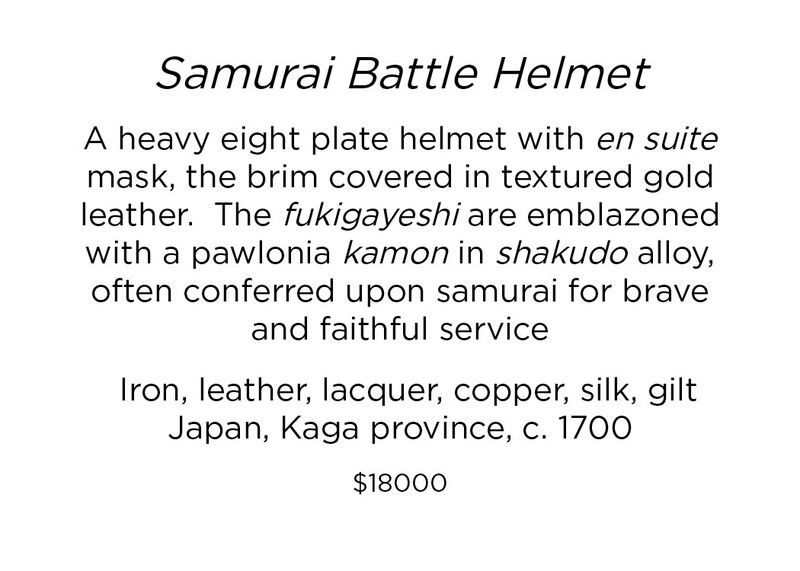 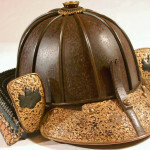 A heavy eight plate kaga kabuto with en suite menpo, the fukigayeshi and mabezashi covered in textured gold leather. 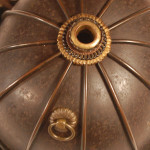 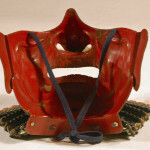 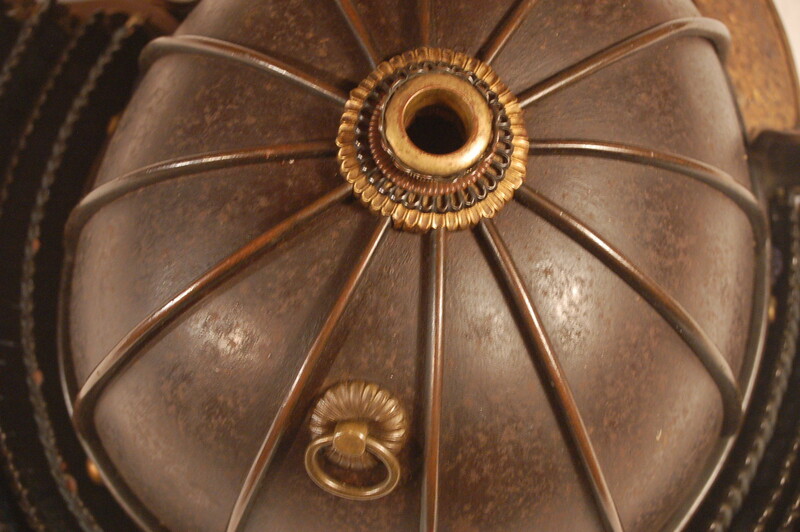 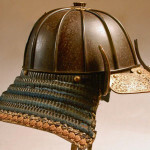 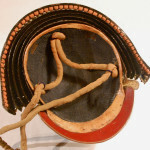 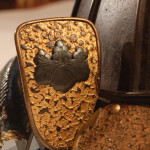 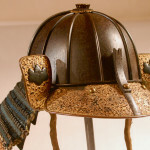 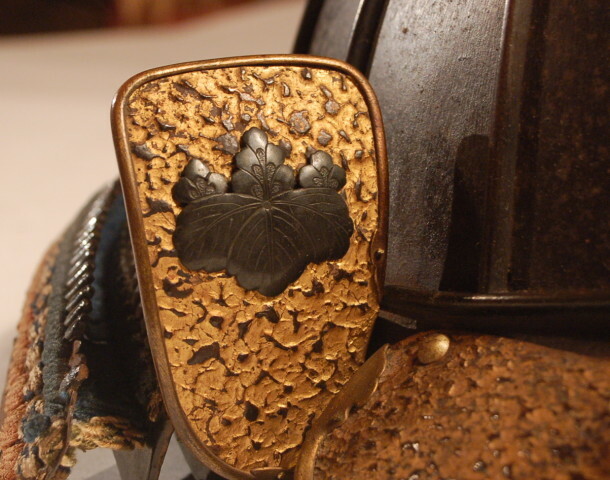 The hachi sports copper fukurin and the fukigayeshi are emblazoned with a kiri (Pawlonia Blossom) mon in shakudo alloy. 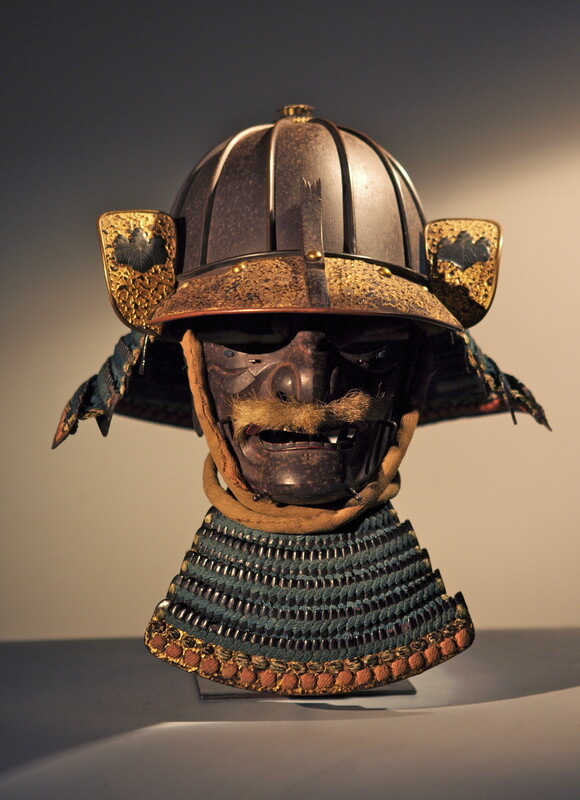 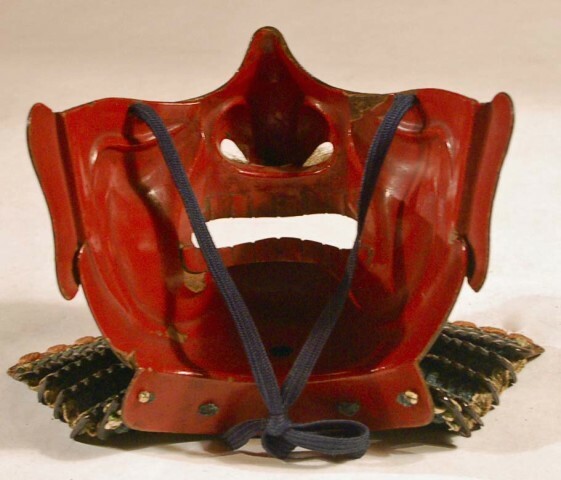 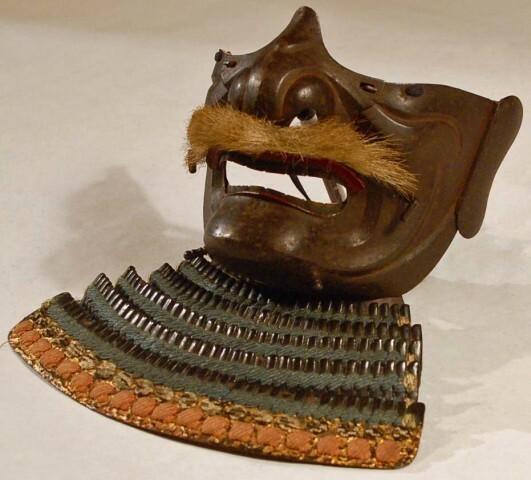 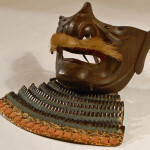 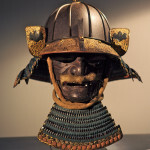 The use of this mon became fashionable during the Kamakura era, and was later conferred by shoguns Toyotomi Hideyoshi and Oda Nobunaga on their generals for brave and faithful service, Kaga school, 17th Century.